Bethel has had a long history of forensic participation. Interscholastic speech and debate has been a part of the Bethel tradition since 1926, when the first oratorical contest was held at what was then called Bethel Academy. That year's resolution was: "Resolved: That the Bible should be introduced in the public schools." We invite you to find out what makes Bethel Forensics unique by checking our mission statement. While some aspects of competition have changed since 1926, others remain the same. This short history of the team was compiled by Pamela Kranz Wentlandt, Lacy Larson Jabas, and Anne Carroll, with additional help from Sarah Bohn Williams and Christi Paulson, and is still a work in progress. If you are an alum - or someone else with information about the Bethel Forensics team, please email Dr. Michael Dreher and let us know - we'd love to find out more about the past of the Bethel forensics team. Bethel's debate team was five men and one woman, with a female director of forensics - Miss LaVone Berthel. The teams were Christenson-Germany and Brown-Decker. The team was not allowed to travel out of state, but had plenty of opportunities to participate in many debate tournaments that were held at local colleges. The resolution was that the foreign policy of the United States be directed towards the establishment of free trade among the nations of the world. Debate makes a big comeback this year as it becomes a credit class and finds itself in more demand than ever before. The team prides itself on the fact that they were invited to a tournament where they were the only junior college attending, and their team of Harold Christenson and Leo Kingsley went undefeated until the quarter finals (against 62 other four-year colleges). Bob Hilton and Ronald Palosaari were champions at the Grand National Forensic Tournament. 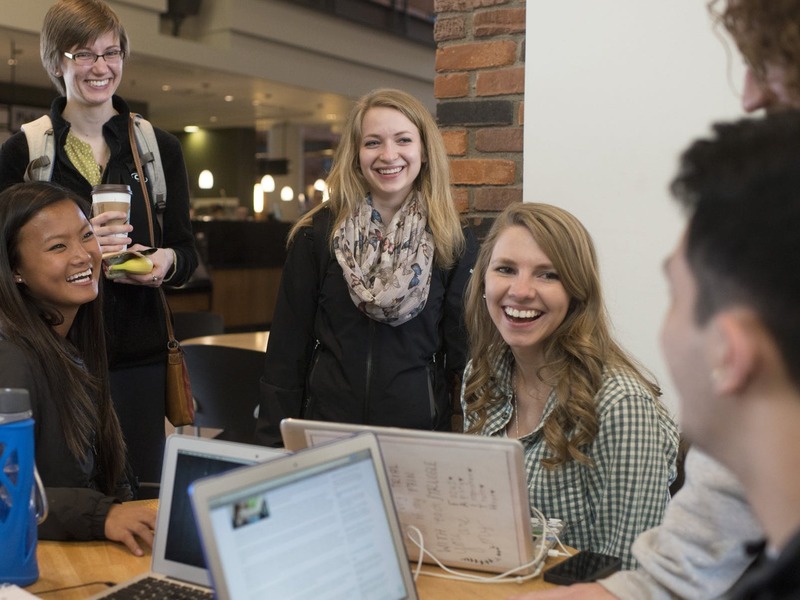 The Clarion, Bethel's newspaper, labeled their effort "amazing" as they competed against schools such as Princeton, Dartmouth and the University of Florida. Paul Grabill was the team's coach. Butch Maltby, a former NFA National Champion, takes over the team. One of the interpers on the team is none other than Peggy Kendall, a member and former chair of the Department of Communication Studies. Todd Rasmuson, who previously coached the University of Minnesota to top-5 finishes at the NFA National tournament, takes over the Bethel program. Under Prof. Rasmuson's leadership, the team travelled a national circuit, winning many local awards as well as Superiors and Excellents at the Pi Kappa Delta National Tournament. Prof. Rasmuson left Bethel to go into the mission field, having been the executive director of a missions organization in the Twin Cities, and most recently, the American contact for Daystar University of Kenya. Dr. Michael Dreher was hired to restart the forensics team after Prof. Rasmuson's departure. The team started in Fall 1997 with three members: Abraham Johnson, Melissa (Kerslake) Landin, and John Anderl. During the 1997-1998 and 1998-1999 seasons, the team attended 40 tournaments, and had 100 individual top-10 finishes. The team seemed to be motivated greatly by ice cream, and their love of food (some things still haven't changed 15 years later!). Melissa could always find a Dairy Queen wherever the team went. She wouldn’t only find the ice cream for the team, but also announce her task was completed by the friendly phrase “There’s a Dairy Queen over there (! ),” becoming an ever so popular statement from her. If only Dr. Dreher knew what he was getting into by simply letting the students enjoy a tasty ice-cream cone after every tournament! The team also hosted Novice Nationals in 1998. During that tournament, Melissa managed to convince Jennifer Stewart, one of Dr. Dreher's Basic Communication students, to do parliamentary debate. Jennifer simply wanted to get out of writing a paper - but they ended up the only 5-0 team in the tournament, and advanced to quarterfinals. Jennifer's sister Kristi later competed for the team in parliamentary debate, winning 60% of her rounds and earning many awards, and also compiling a 4.0 GPA from Bethel in Political Science. The team shifted focus, moving from an IE and CEDA program to a comprehensive program that includes individual events, parliamentary and Lincoln-Douglas debate, and Readers' Theater. Along the way, the team has managed to win over 1100 rounds of debate, and has earned over 1200 awards. Bethel also started attending the National Christian College Forensics Invitational. Dr. Kevin Jones, who at the time was the Director of Forensics at Azusa Pacific University, was the founding tournament director. Bethel has gone back every year except for one. Bethel attended Novice Nationals for many years as well. The team also enjoyed success at a national level. 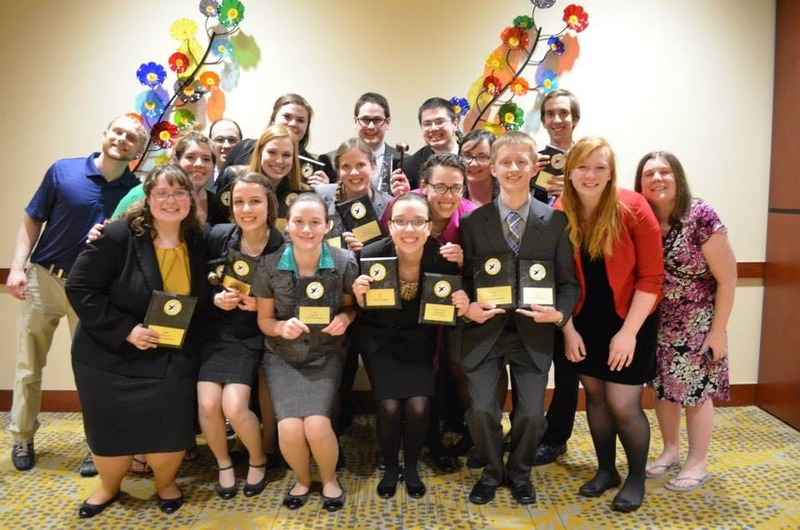 Bethel has had more than 40 national champions at the National Christian College Forensics Invitational and Novice Nationals, as well as winning the overall team sweepstakes award in 2006 and the indiivdual events title in 2007. Laura McDonnell was the first NCCFI champion in Novice Prose. Along the way, a variety of other students have won national championship. Several students have won multiple national championships, led by Sophie Nagle's 6 national championships in 2012: she won Informative and Dramatic Interpretation at both Novice Nationals and NCCFI; she additionally won Dramatic Interp and the Individual Speech Sweepstakes at NCCFI. Aminta Brouwer, Jeri Anne Hegman, Christi Paulson, David Maus, Faith (Kroeker) Maus, and Alyssa Teh have won multiple national championships. Bethel continued that tradition with 5 championships in 2019: McKayla Schneck, the top novice speaker in parliamentary debate; Alyssa Teh, who won Faith Literature; Rachel Rosell, who won Oral Interp; Jordan Holthe, who won Novice Prose; and Elizabeth Jonker, the top novice speaker in Informative. The team is also proud of what students on the team have done after graduation. We have several people who are coaching on the high school level. Quite a few of our team members have gone on to seminary, law school and graduate school. Others, such as Melissa (Kerslake) Landin, Shawna (Toupin) Warner, John Anderl, Luke Scripter, Teriliyn Johnston Huntington, and Steven McMullen, teach at the college level. Matt Borg finished a Ph.D. at Purdue in Aeronautical Engineering and is working on a wind tunnel in Ohio. Laura McDonnell has even starred in national television commercials (if you've seen the woman munching on her veggies while walking on the treadmill, you've seen her!). Charity Kroeker completed a Fulbright scholarship during the 2008-2009 school year. Faith (Kroeker) Maus and David Maus have both earned prestigious fellowships after their graduation. Jill (Pavelka) Jenkins has published several books. No matter what people do, we believe that forensics helps people to be more confident and to do what they do better. The team has grown to anywhere between 15-25 members (from just 3 members in 1997), but along the way, has had competitive success while still maintaining a Christian tradition.